There are many opinions about Ryu Ryu Ko’s (also known as Xie Zhongxiang) exact identity and the style he taught. His date of birth is in question as is the photo shown above. It is widely believed that his family had been aristocratics, and in those times only the aristocratic classes studied martial arts. Ryu Ryu Ko studied at the southern Shaolin Temple in the mountains of Fujian Province. Due to the internal strife that threatened the feudal system, the family concealed their status. Ryu Ryu Ko worked as a bricklayer and a builder. In later life he lived by making baskets and furniture. This was the profession he was following when Kanryo Higashionna became his pupil. In the Fujian Province, several White Crane teachers were living and Ryu Ryu Ko was one of them. By some accounts Ryu Ryu Ko was one of the first generation masters of Whooping Crane Fist, which he either learned from his teacher Kwan Pang Yuba (student of Fāng Qīniáng, the originator of the first White Crane style), or created himself. Ryu Ryu Ko is accepted as the principal instructor of Kanryo Higashionna. Master Kanryo Higashionna was born in March, 1853, in Naha, the capital city of Okinawa during the time when Okinawa Island was occupied by the Satsuma Clan of Japan. 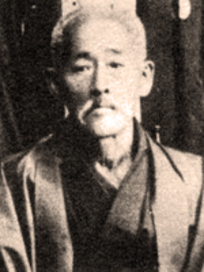 Higashionna began his martial arts training in 1867 in Monk Fist Boxing from Seisho Aragaki (1840-1920) of Kume. Aragaki was well known among Okinawans with his favorite kata being Seisan. 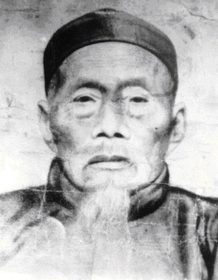 In 1870, at the age of 17, he traveled with his instructor to the Fukien province, Fuzhou, China. Once in Fuzhou, he studied the Chinese martial arts under the great Master Ryu Ryu Ko. Around 1881 he returned to Okinawa and began to teach martial arts in and around Naha, which would become known as Naha-te. Unlike Shuri-te, Naha-te represented newly imported Southern Chinese forms from the Fukien Province of China. Higashionna systemized Naha-te with contemporary Chinese arts, thus it was called To-te (Tode), or Chinese Hand. In October of 1905, Higashionna began teaching at the Naha Commercial High School. When teaching, Higashionna was an extremely hard taskmaster. However, in his everyday life he was a quiet and humble man and one who was renowned for his virtuous character. He was a person who had no need or desire for worldly things. He led a simple life that was devoted to the study and practice of martial arts. Kanryo Higashionna was bestowed with the title 'Kensei (sacred fists) Kanryo Higashionna' a title which is eminently fitting. His name is synonymous with Okinawan martial arts and Naha-te, and his spirit is destined to live on forever as a great and valued treasure within Okinawan culture. Several of Higashionna's students went on to become influential masters of what came to be called karate, among them Chojun Miyagi, Juhatsu Kyoda, and Seiko Higa. Kanryo Higashionna's whole life was devoted to karate. He died in December 1915 at the age of 63. Master Chojun Miyagi was born in Naha, Okinawa on April 25th, 1888. He began his formal training at age 11, in the dojo of Ryuko Aragaki. At the age of 14, he was first introduced to Kanryo Higashionna, and after a period of doing chores for Sensei Higashionna to earn his place, was accepted as a student. Training was very severe, with a lot of running and strength exercises. It is said that he sometimes passed out performing Sanchin kata, so demanding was Sensei Higashionna on his student's performance. He trained for 13 years in this manner until the death of Kanryo Higashionna, developing into a powerful karateka. Sensei Miyagi then traveled to China to locate Master Ryu Ryu Ko, whom Higashionna had studied with. He was unable to locate him, but he did pick up some of the local arts of the Fukien area of China, notably the kata Rokkishu, which was instrumental in his creation of Tensho kata. In 1921, he was chosen to represent Naha-te in a presentation to the visiting crown prince Hirohito (who would eventually become Emperor), and gave an impressive performance. He repeated this in 1925 for Prince Chichibu. Jigoro Kano (founder of Judo) began visiting Okinawa in 1927, and was so impressed with Sensei Miyagi that he invited him to Japan in 1930 and 1932 to demonstrate at several tournaments. It was at one of these tournaments that one of his senior students, Jin'an Shinzato, was asked which school of karate he belonged to. 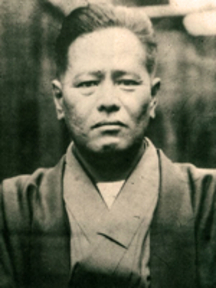 Unable to answer (styles were only known by their geographical reference at that time), he approached Sensei Miyagi, who agreed that a name should be chosen for their unique style. There is a Chinese text called the Bubishi, a very popular historical reference among karateka of the day, and in it are the Eight Poems of the Fists. The 3rd precept reads "The way of inhaling and exhaling is hardness and softness." Go means hard and Ju means soft. Since his style was a combination of these ideals, he began referring to his art as Goju-Ryu, and in 1933 it was officially registered as such at the Butoku-kai, the Japanese Martial Arts Association. The Allied occupation of Okinawa was a very turbulent time in the history of Okinawa and the art of karate. Many lives were lost, including one of Sensei Miyagi's sons, two of his daughters, and his senior student, Jin'an Shinzato. He was forced to forgo much of his training while his homeland was restructured after the war. In 1946, he was appointed director of the Okinawan Civil Association of Physical Education, and resumed his training, teaching the Police Academy and opening a backyard dojo, known as the Garden Dojo. It was there where Seiko Higa, Meitoku Yagi, Ei'ichi Miyazato, Seikichi Toguchi, and An'ichi Miyagi trained, along with many other notable karateka. Chojun Miyagi died on October 8th, 1953 at the age of 65, never having named a successor. His legacy lives on through his senior students and the untold karateka whose lives he continues to influence. Master Seikichi Toguchi was born on May 20th, 1917 in Naha, Okinawa. He began his training in Goju-Ryu in 1932 with Master Chojun Miyagi, the founder of Goju-Ryu. He served with the Japanese Imperial Army during World War II as an electrical engineer. After the war, he returned to Okinawa and assisted in rebuilding his war-torn homeland. 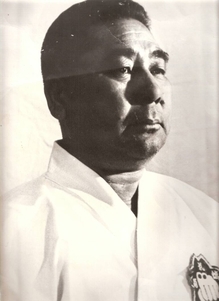 In 1952, Sensei Miyagi named him Executive Director of the Karate-Do Goju Association. Two years later he became the Vice-President of the organization. 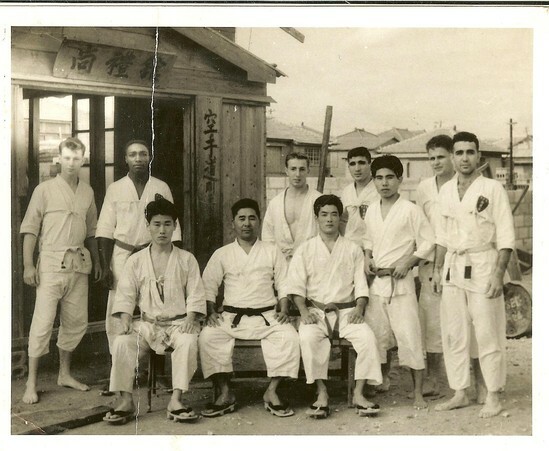 In 1955, after the death of Chojun Miyagi, he founded Shoreikan Goju-Ryu and opened his Dojo in Koza City, Okinawa. Many servicemen trained here, among them a United States Marine named Jay Trombley. In 1962 Toguchi moved to Tokyo and served as chief instructor at Yoyogi Martial Training Society Karate Dojo. That same year he opened his Shoreikan dojo in Meguro Borough, Tokyo. Throughout the 1970's and 80's he made many trips to the United States, Canada, and Europe for instruction seminars and demonstrations. Master Seikichi Toguchi died on Aug. 31. 1998. His accomplishments and credits are too numerous to detail but suffice it to say that he was at the center of Okinawan Goju-Ryu Karate world. He was the last living Okinawan master to receive the title of 'Bushi' a title also held by his teacher, Master Chojun Miyagi. Shodai Jay Trombley was born in Bellows Falls, Vermont on November 2, 1936. He began studying Goju-Ryu in Okinawa on October 19, 1955. He was stationed there while serving as a reconnaissance infantryman in the United States Marine Corps. A man named Joe White, who was a sergeant in charge of Mr. Trombley's recon unit, introduced him to Goju-Ryu. Mr. Trombley began his karate training with 3 other marines (George Costas, Joe Augustine, and Mike Dikin) along with Joe White and many native Okinawans under Master Seikichi Toguchi. Over the next five years he trained in traditional Shoreikan Goju-Ryu Karate. Classes were 4-5 hours long, including sparring. It was a traditional dojo in Koza City with no air conditioning or heating. His expertise in Okinawan Goju-Ryu also includes a thorough schooling of traditional weapons which he acquired from Master Hohan Soken. After his original tour ended he extended his time, staying until 1960. After leaving Okinawa, Shodai taught karate inside a Jacksonville Beach Florida health club. Also in the health club was Jackie Simpson, who taught golden gloves boxing. While Shodai taught karate, he also learned boxing techniques from Simpson, which would have a profound effect on his own style, still in the making. In 1970 he moved to Texas continuing to build what would be his own system. Four years later he established United Goju-Ryu, changing the name to Ketsugo Goju-Ryu in 2005. Ketsugo Goju-Ryu is traditional Shoreikan Goju-Ryu with the additional material Shodai added. He created and added 9 katas (Kihon Ichi, Gekisai San, Genshin, Juhito, Issho Ni San, Hente Do, Dobutsu San, Bushi Do Rei, and Yuryoku-Do.) He also created additional kata kumite and kiso kumite exercises, joint lock escape self-defense techniques, traditional weapons, and a variety of training routines. Shodai was also involved in the full-contact kickboxing scene since it started in Texas. He has been a trainer, judge, referee, and promoter in national and international kickboxing events. Shodai and his wife Karen have promoted some of the biggest full-contact kickboxing events in the Dallas/Ft. Worth area in 1983 and 1984. Many of his training techniques for full-contact fighters were incorporated into the karate program as many of his fighters were also his karate students. Shodai operated a Dojo in the Dallas/Fort Worth area for 46 years. In 1982 he was inducted into the "Who's Who" in Karate. In November 1985, his students presented him with a 450 year-old signed and dated samurai sword, and in 1986 he was awarded the "Legion of Honor" from Official Karate magazine for his dedication, honesty, and service in the martial arts. Shodai taught continuously for over fifty years and his credentials are extensive, beginning with teaching karate to Marines and members of the Navy's elite U.D.T. (Underwater Demolition Team). Shodai has also worked with several law enforcement agencies. Since developing Ketsugo Goju-Ryu in 1974, he has trained thousands of students from all walks of life; however he has only promoted 28 students to the rank of Shodan (first degree black belt). Among those black belts are Robert Oliver, David Griffin, Ashley Oliver and Cliff Knudson. 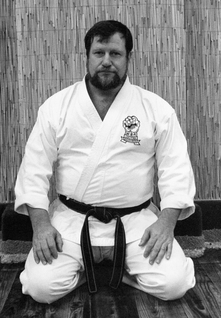 Shodai Jay Trombley retired on March 31, 2016, declaring Oliver Karate Academy in Bedford Texas to be the Hombu Dojo. On October 6, that same year, Shodai formally named Robert Oliver his 9th dan successor and president of the Ketsugo Goju-Ryu Association, leaving a legacy that will remain as long as his students carry on what they were taught; strong karate. ©1974-2019 All Rights Reserved. • Ketsugo Goju-Ryu Karate Association.